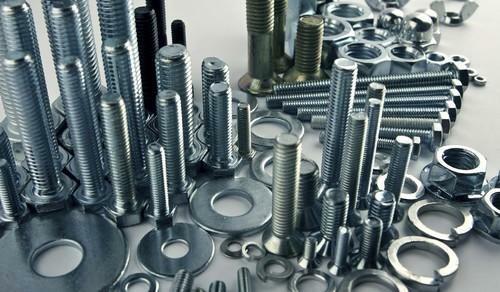 Ramesh Steel Alloys carries a full complement of fasteners varying in sizes and applications. We are exporters of Fasteners fittings and prepare them in various designs as per the specifications of our clients. A fastener is a hardware device that mechanically joins or affixes two or more objects together. Fasteners come in a wide variety of specifications, but whether you are planning to use a bolt, screw, rivet, peg, or clamp, selecting material suitable for the intended application is an important concern. Nakoda Group is the compounding of two sister concern companies (Nakoda Products & Nakoda Steel). Nakoda Steel , an ISO 9001:2008 certified company incorporated in the year 1984, is one of the leading engineering organizations in India renowned for providing medium-heavy sheet metal & steel products that requires cutting, bending, turning, pressing, punching, welding, and assembling, Transformer Tank & parts, Purlins, Solar mounting structures, Semi knock down and complete knock down kit (SKD , CKD). Nakoda Products, an ISO 9001:2008 company has been in the business of manufacturing Power & Distribution Transformers and Solar EPC & Solar system integration and proud to have executed a number of prestigious orders. The products are designed and executed at our state-of-the-art facility, which houses hi-tech equipment for the purpose. With our consistent efforts, we have managed to garner a widespread clientele that spans across the world. Furthermore, we strive to make transactions easier for customers by accepting flexible modes of payment. The whole Nakoda Group is ready to meet your needs on our products, we are here to help you reduce purchasing cost, boost your sales and finally bring to you considerable profit.